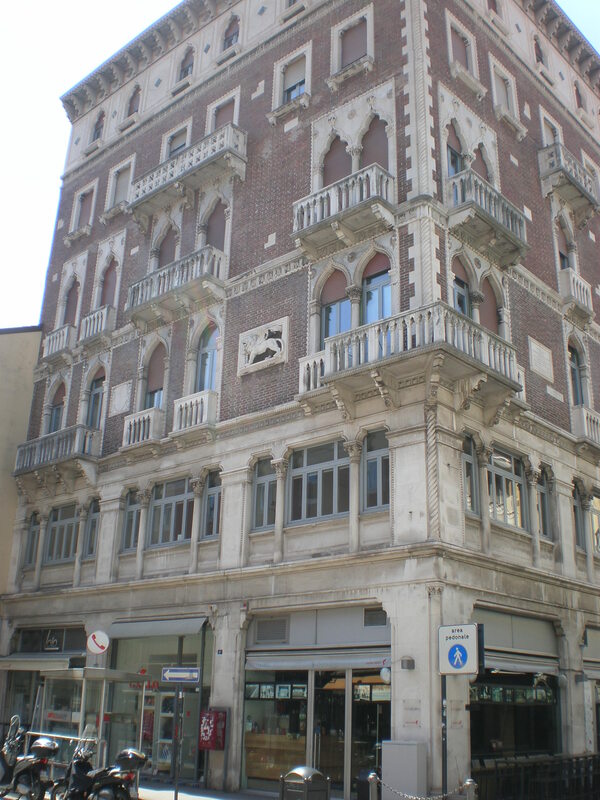 What better way to spend Sunday than by eating cakes in some of Trieste’s oldest cafes? 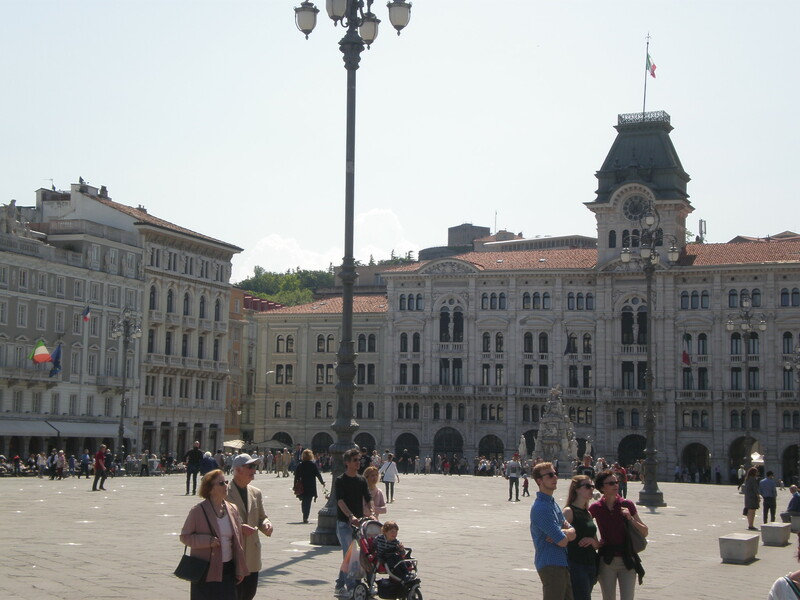 My best friend M. and I went on a day trip to Trieste, Italy with the sole purpose of enjoying ourselves. 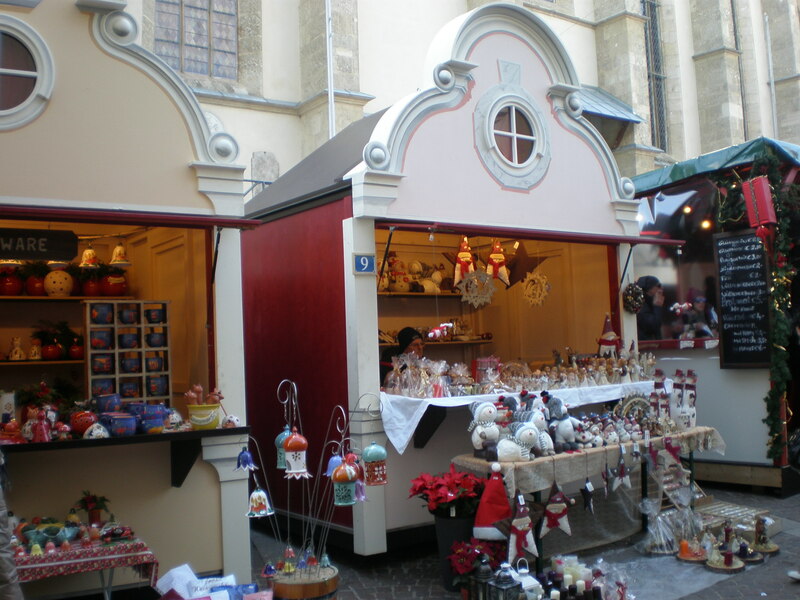 There was no fixed agenda apart from our wish to visit several traditional cafes/ patisseries. 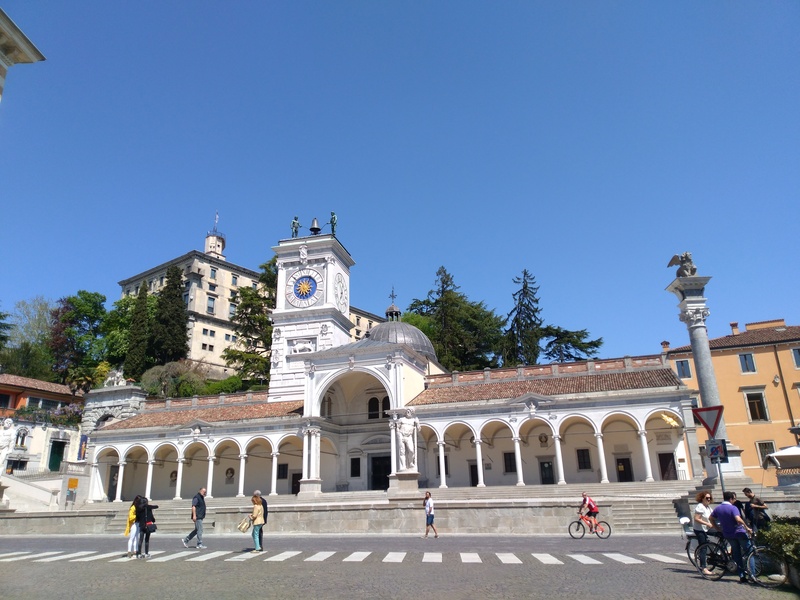 It’s been a long time since I had fun in Trieste because I usually just use it for flights/ train connections. 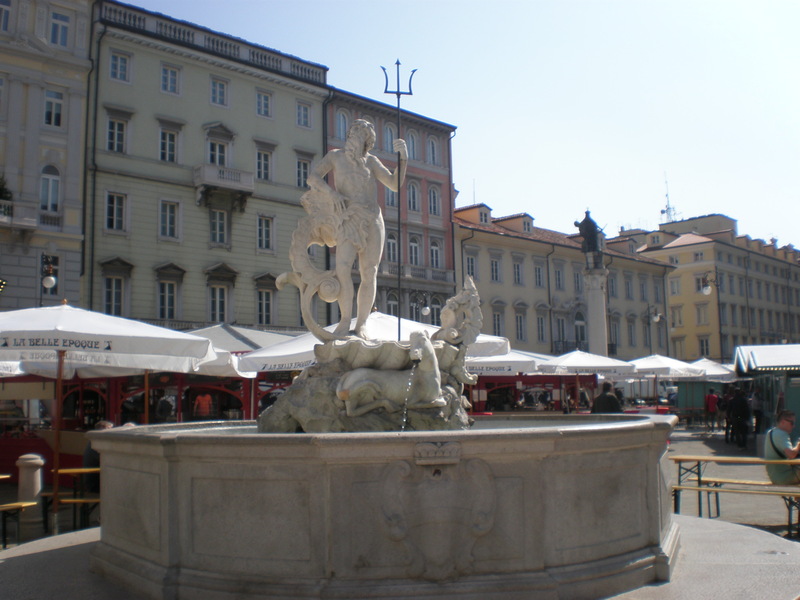 When I was a child we used to regularly go to Trieste. 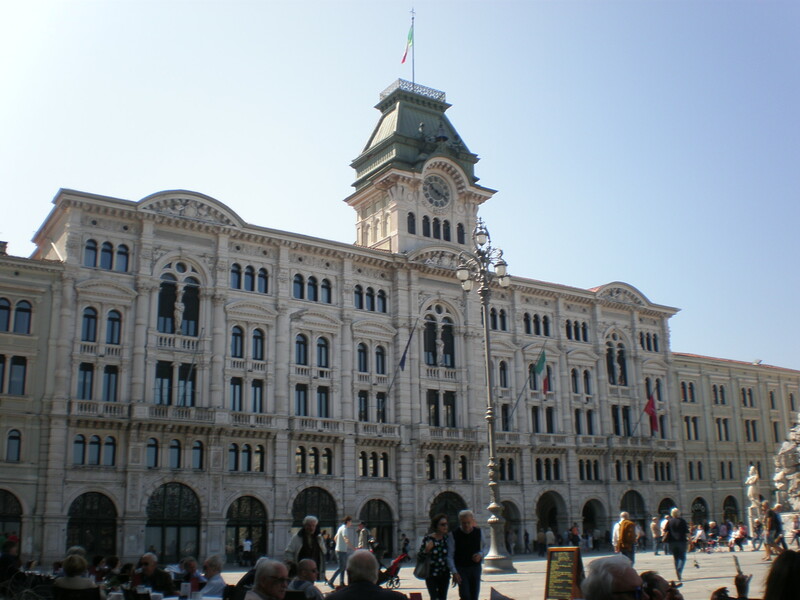 Anyway, it was nice to just wander around the city center leisurely and to take in the beautiful architecture of Trieste. 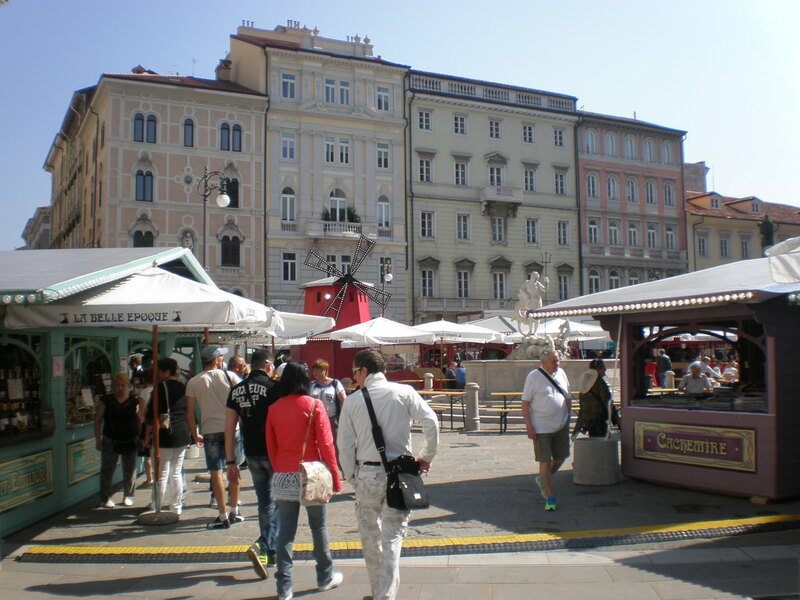 Very much like my hometown Trieste has more of a feel of a Central European city than a Mediterranean city. 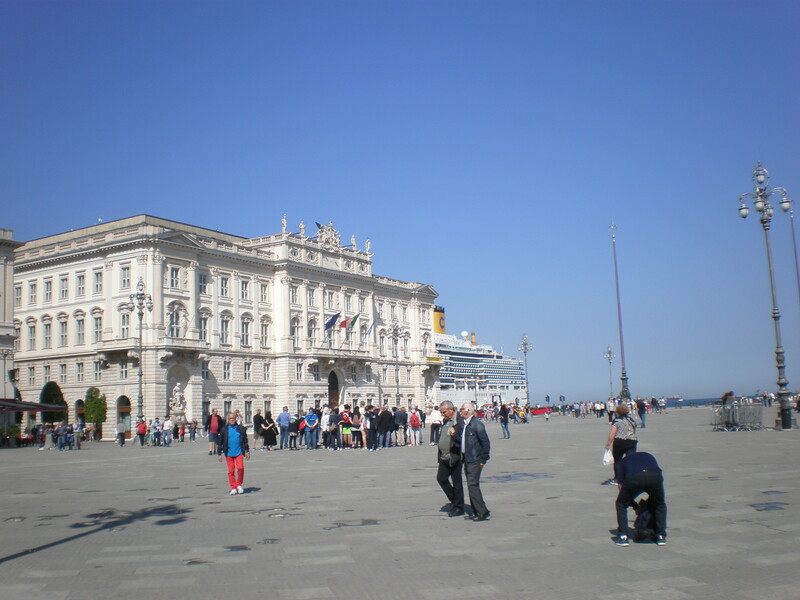 Trieste is an important Italian port and a significant university center (especially for languages) but it’s also the oldest town in Italy by the age of its inhabitants. 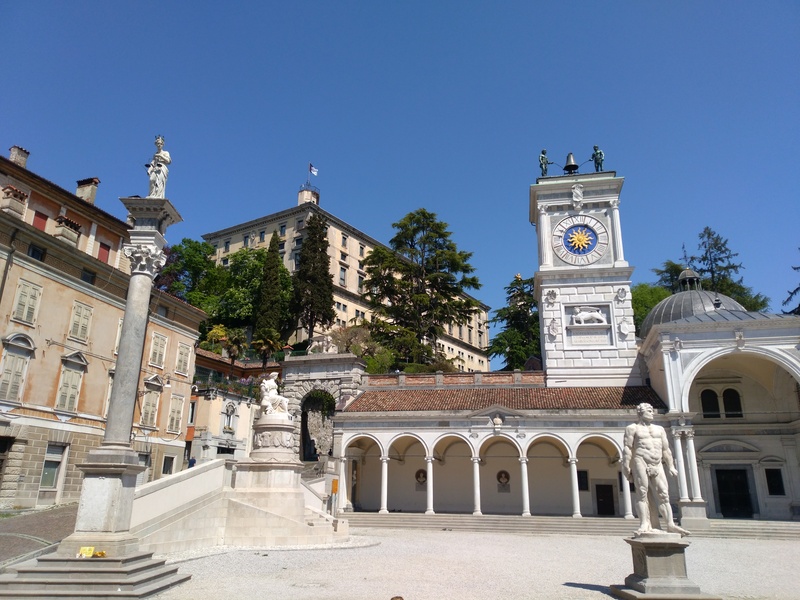 It’s seen better days and a vivid memorial of that is its grand main square Piazza Unità d’Italia. 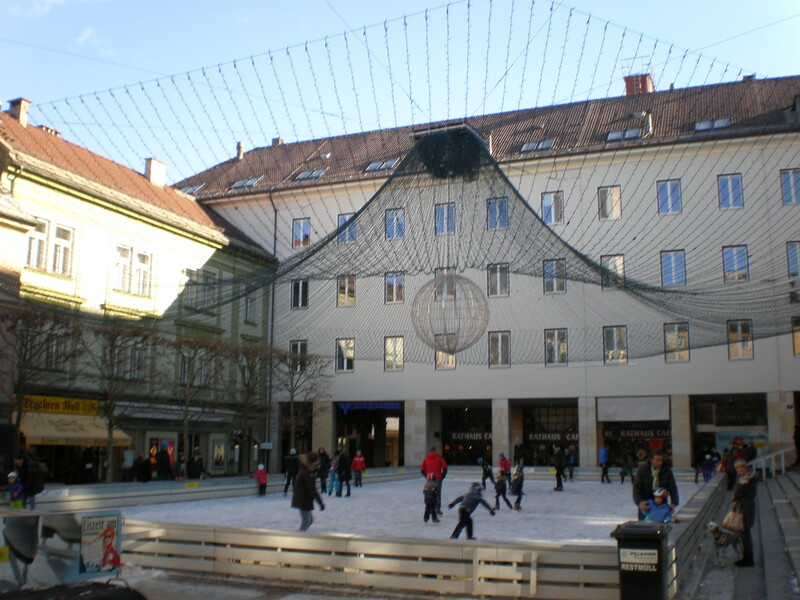 But there are other beautiful buildings and squares too. It was probably the hottest day of the year. 29°C on a sunny day in May. Who would have known that it could get so hot in the spring in Austria? 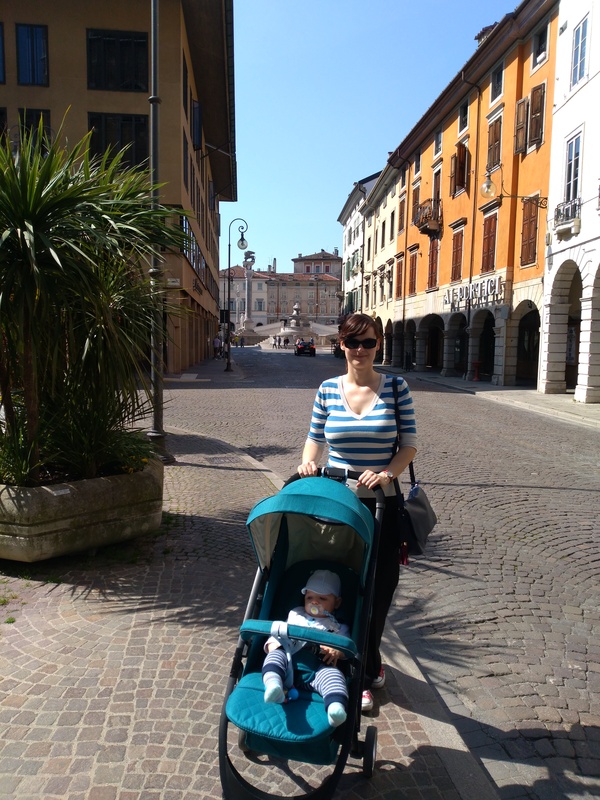 My mum and I took a day trip to Klagenfurt to take a break from my wedding preparations (three years ago). On the way to Klagenfurt we admired the view of the mountains and the green lush scenery. But then we reached the Karawanks Tunnel at the Austrian-Slovenian border and lost a lot of our precious time because of the road works. 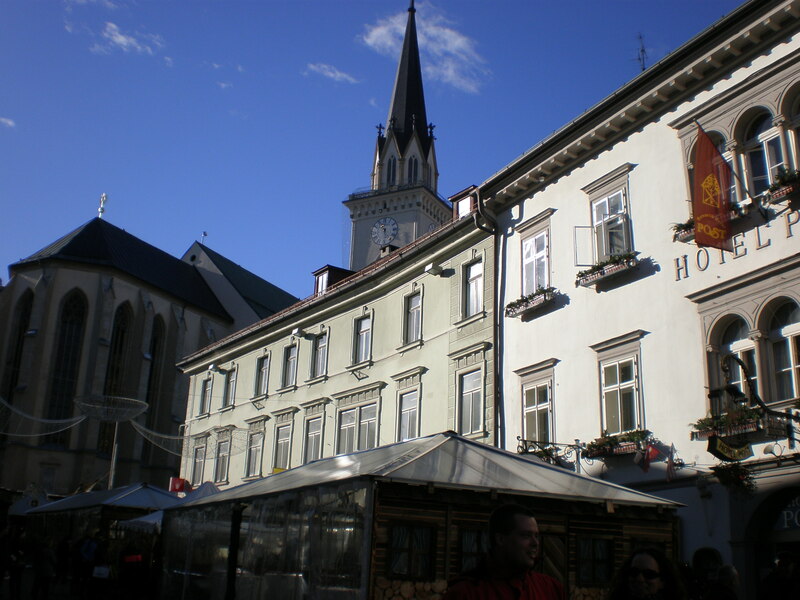 When we finally reached Klagenfurt I already felt exhausted but my spirits lifted when we started to walk around this pretty little town. 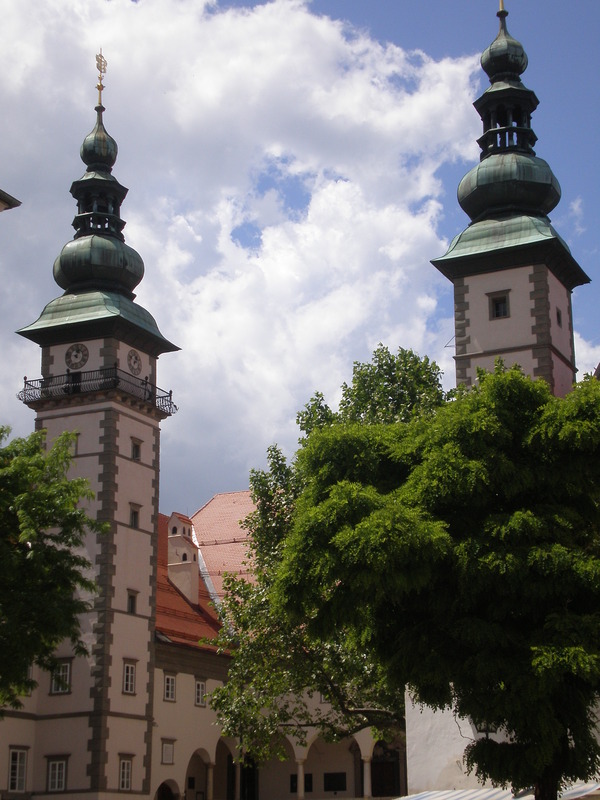 Actually Klagenfurt is the sixth biggest town in Austria with the population of around 99 000 people and it’s the capital of the Austrian federal state of Carinthia. It’s on the lake Wörthersee and on the Glan river. According to a legend the city was founded after a couple of brave men slained the dragon like creature Lindwurm who fed on virgins. 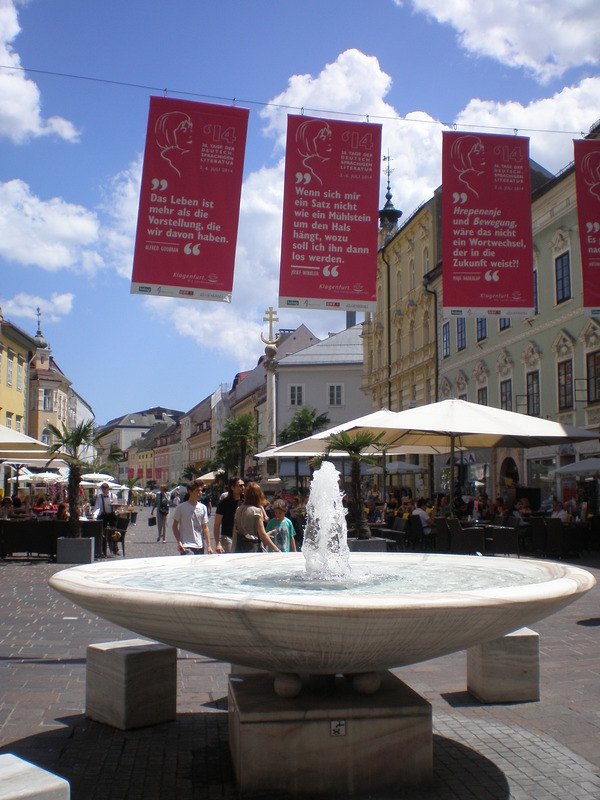 Today you can see the giant Lindwurm fountain at one of the city’s beautiful squares. 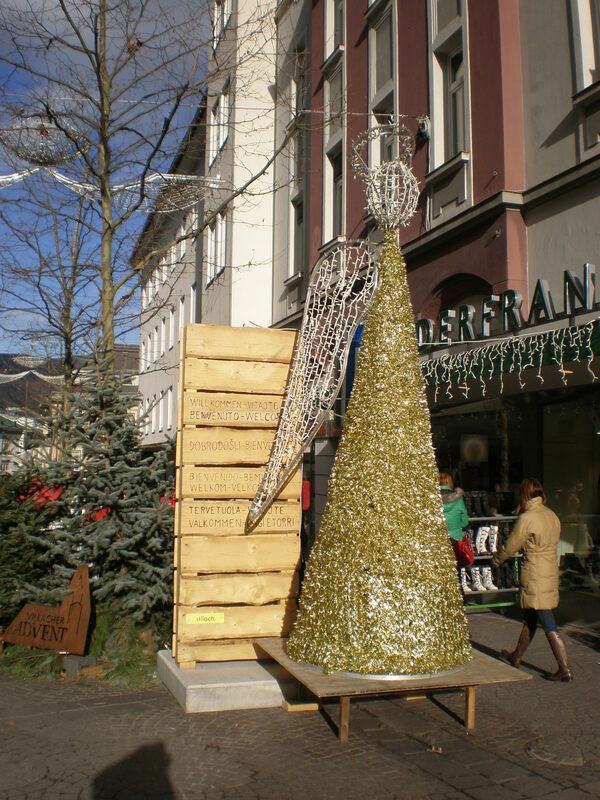 So what did we do in Klagenfurt? My mum and I just walked around and admired its many sights. 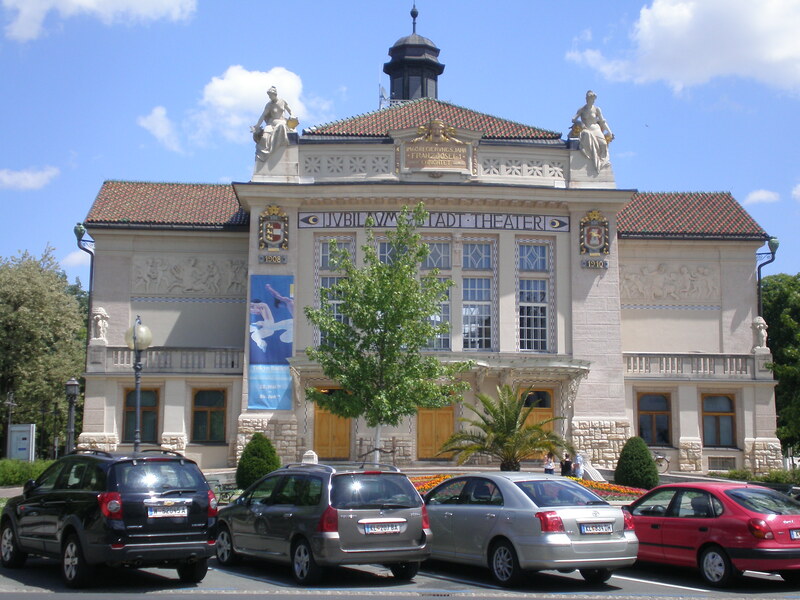 The first thing we came across was the Theater built at the beginning of the 20th century by the famous theater architects Helmer & Fellner. 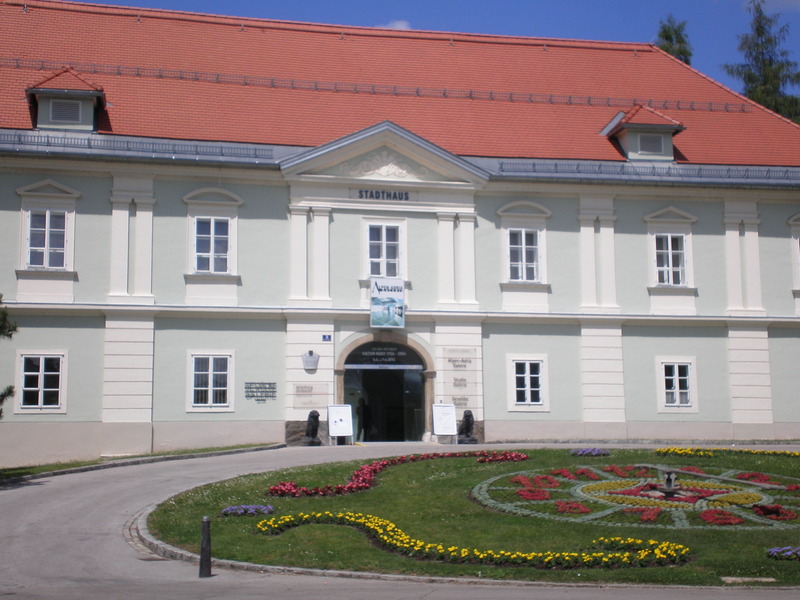 Next to it is the Stadthaus with the flower clock which actually works. How neat! 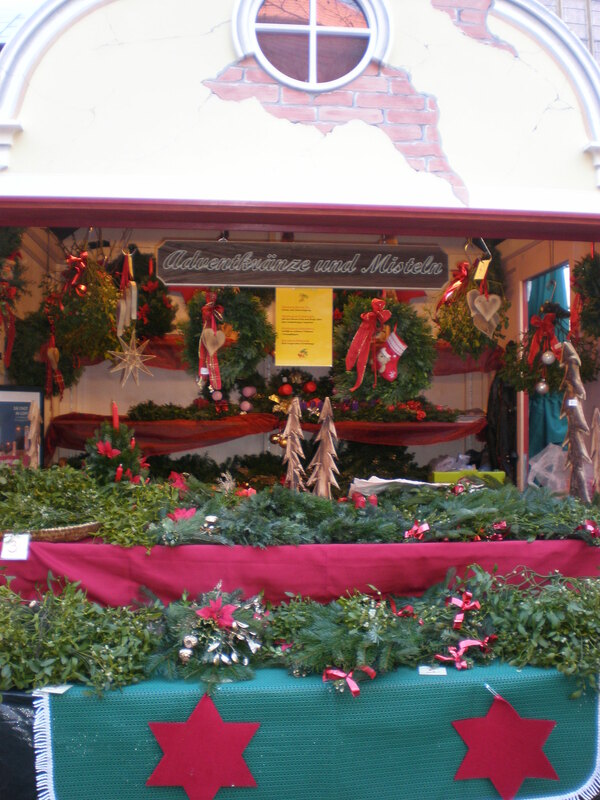 We noticed a lot of hanging flower baskets around the city. 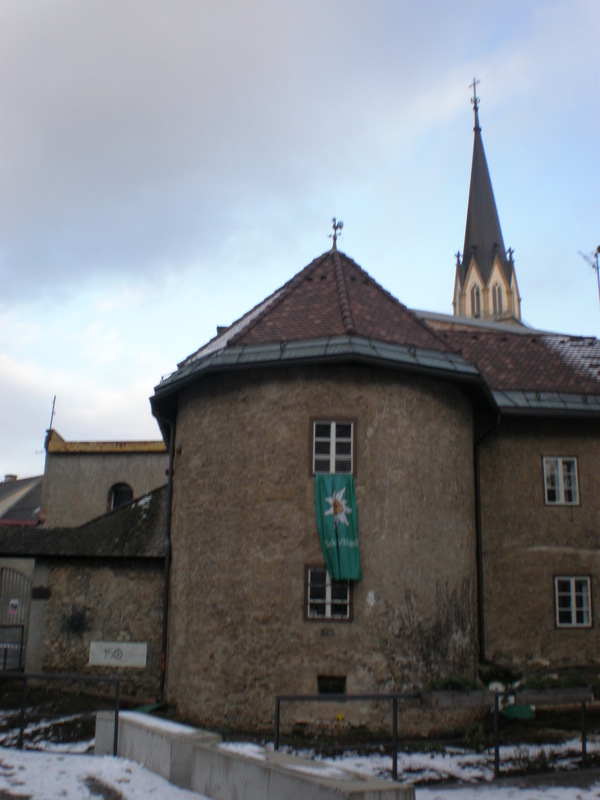 Then we saw the parish church and came to the Old Square (Alter Platz) surrounded by the houses from the 16th and 17th century. 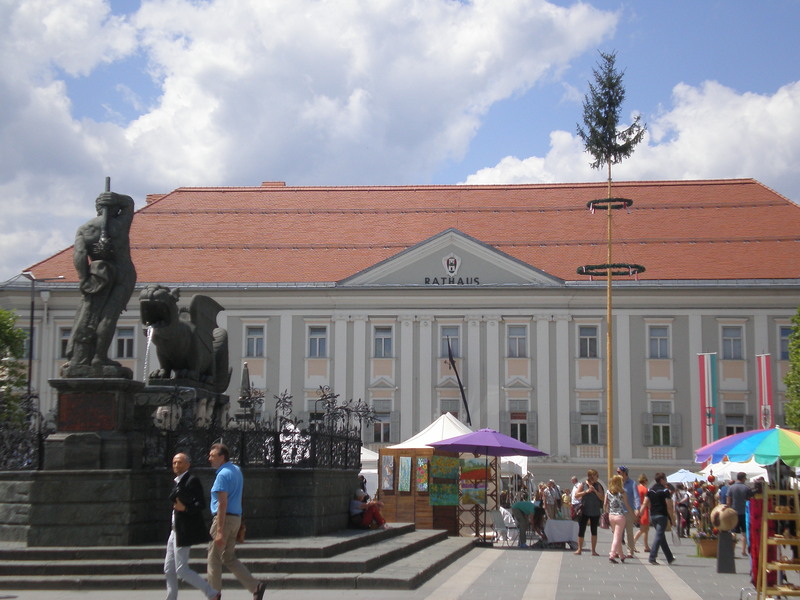 You can see the Plague Column at the square and the oldest house in Klagenfurt. It dates from 1489 and it’s got a golden goose on its façade above the entrance. 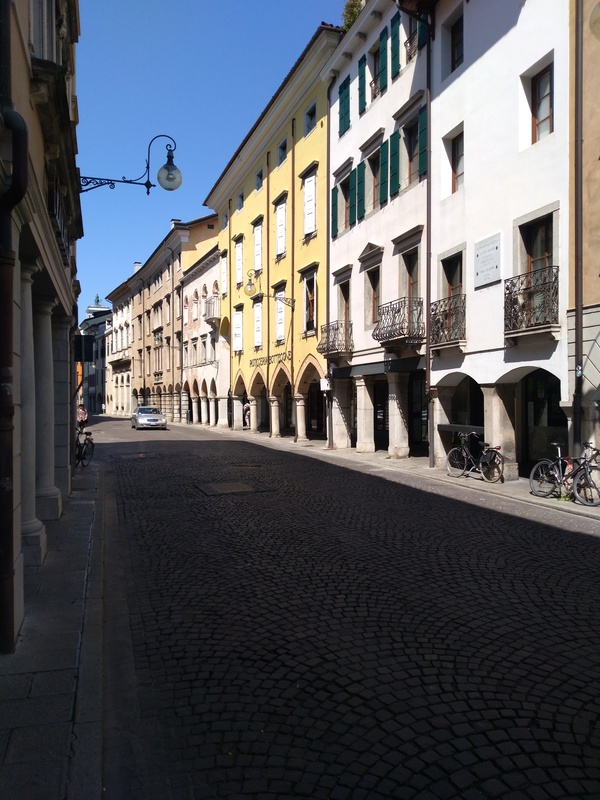 Just around the corner is the Landhaus with the Renaissance façade where the Corinthian parliament holds meetings. 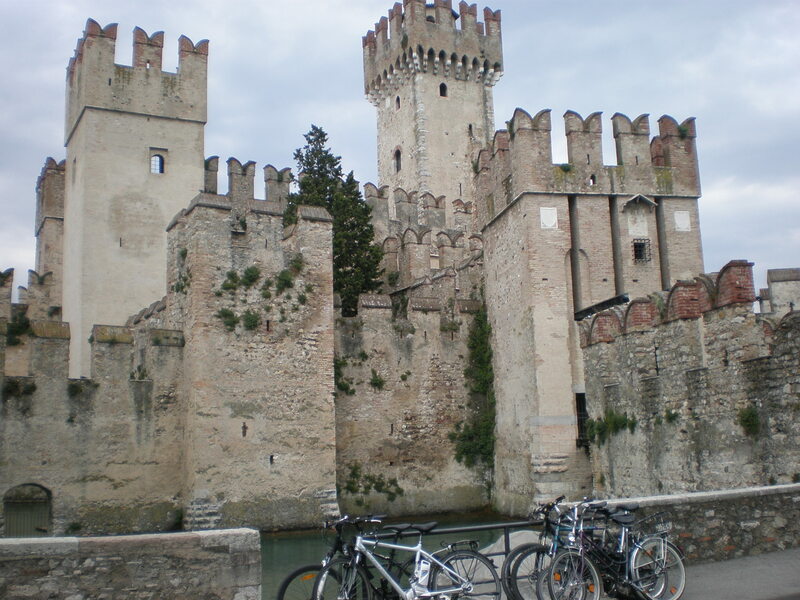 Sirmione is a charming little Italian town on the Lake Garda. When it’s not overrun with day-trippers it offers tranquility and spa treatments at its many hotels. 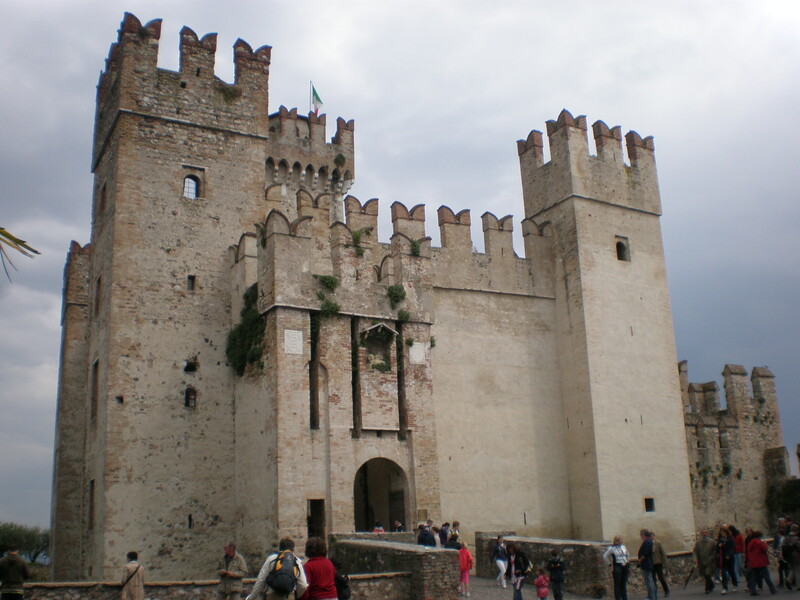 The symbol of Sirmione is the Scaliger castle (13th ct). You can climb its tower to get a nice view of the Lake Garda and the entire town. 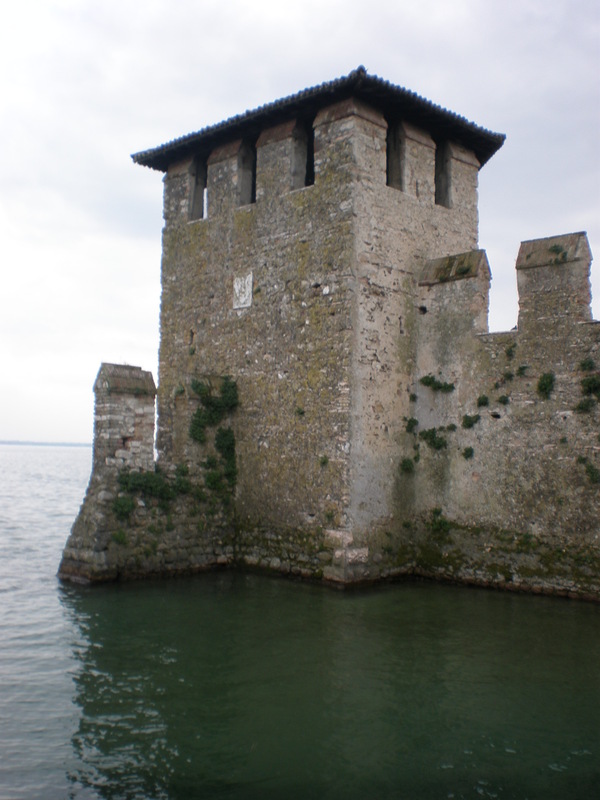 Once you cross the castle’s drawbridge you enter historical Sirmione. Another noteworthy attraction is the Grottoes of Catullus, the remains of a Roman private house, the largest such uncovered in the northern Italy. 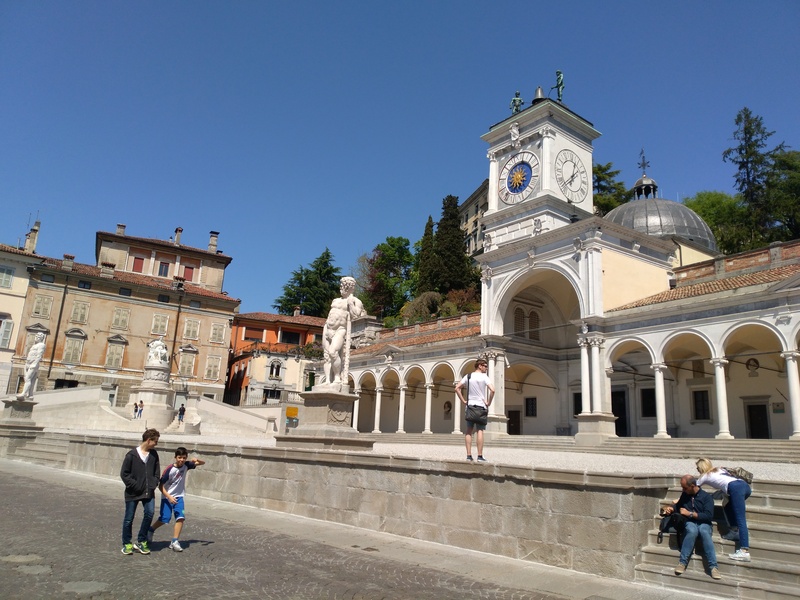 This villa is mentioned in the poems of the first famous resident of Sirmione who lived there in 1st century BC (the Roman poet Gaius Valerius Catullus). There are several interesting small churches too. 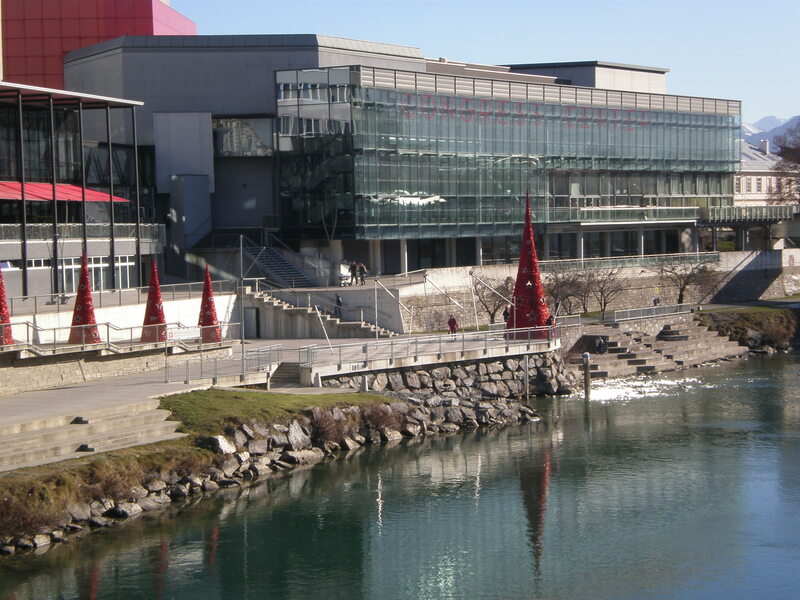 But the town’s claim to fame are its thermal springs. 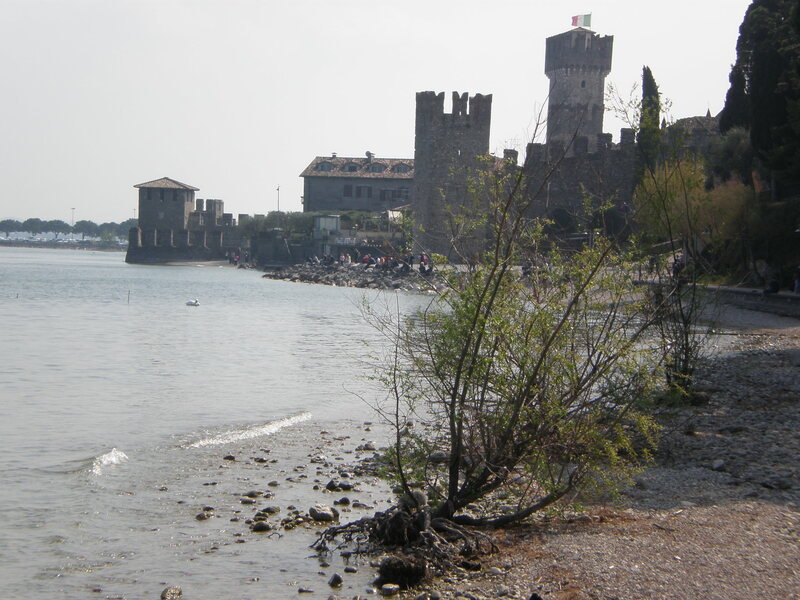 Many famous writers visited Sirmione such as Alfred Tennyson, Ezra Pound and James Joyce. 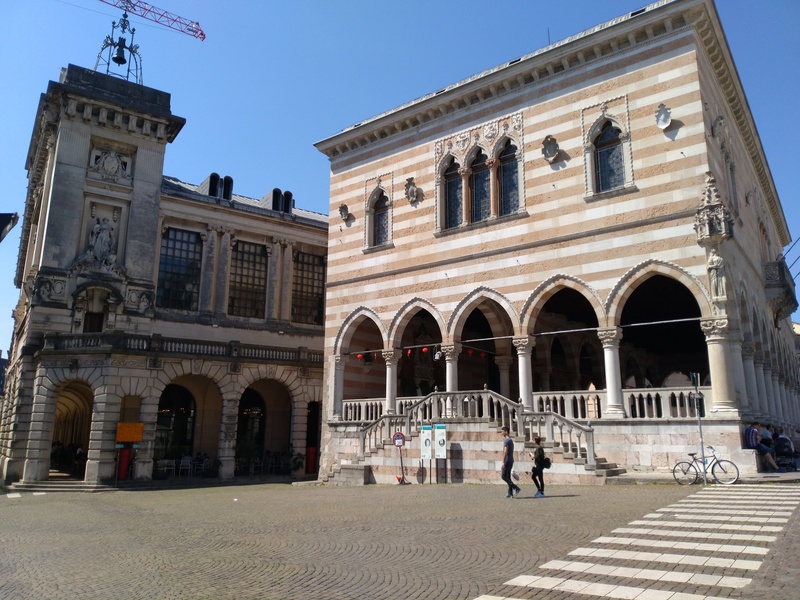 I shouldn’t forget to mention the famous Italian writers Giosuè Carducci and Antonio Fogazzaro who wrote about Sirmione as well as the notorious Gabriele D’Annunzio who found the short-lived Italian Regency of Carnaro in Fiume (Rijeka, Croatia) with himself as the Fascist leader. English writer Naomi Jacob made Sirmione her home. 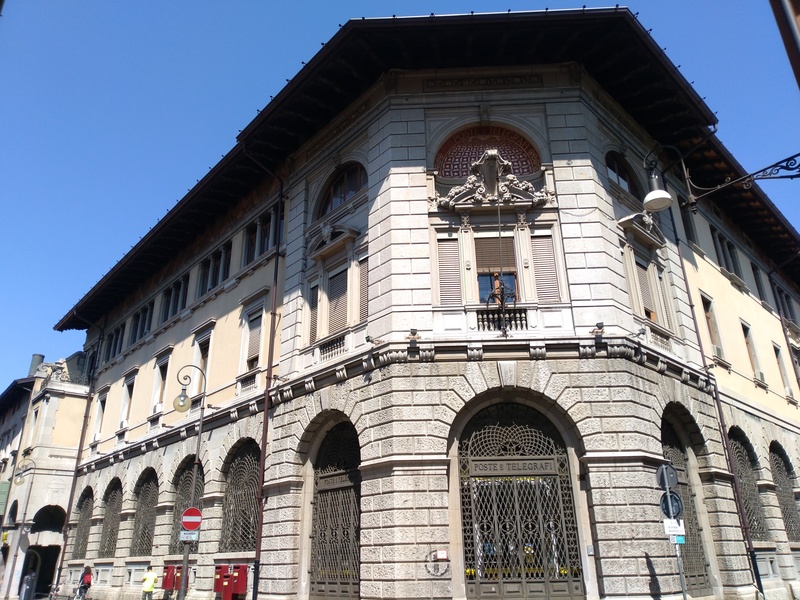 One of the best opera singers of all times had a villa here too: Maria Callas.